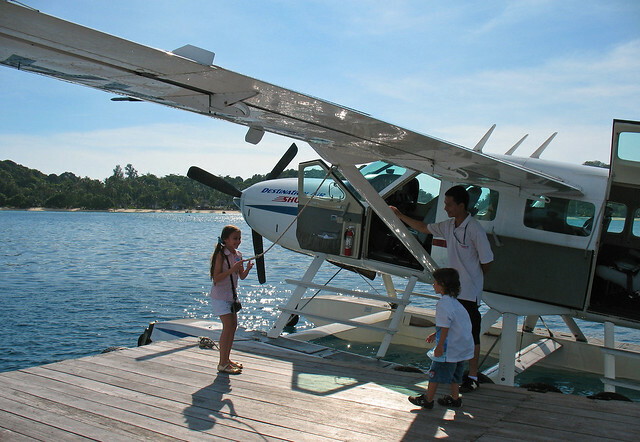 I have been recommending Destination Air to people for some time now. 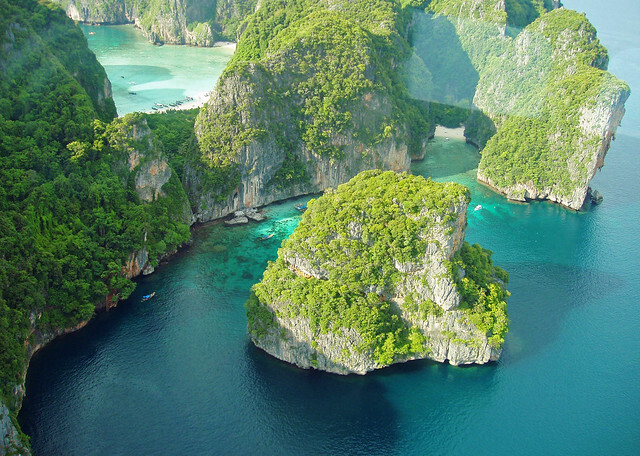 Yeh, I know you can get to Phi Phi quite cheaply by ferry, but damn! 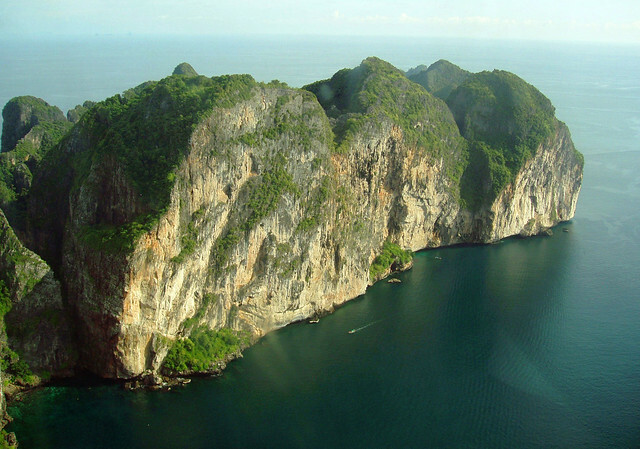 A flight to Phi Phi? There are still many people who don't know the option even exists, and yes, it's not exactly super cheap - current price is 4,999 Baht per person. 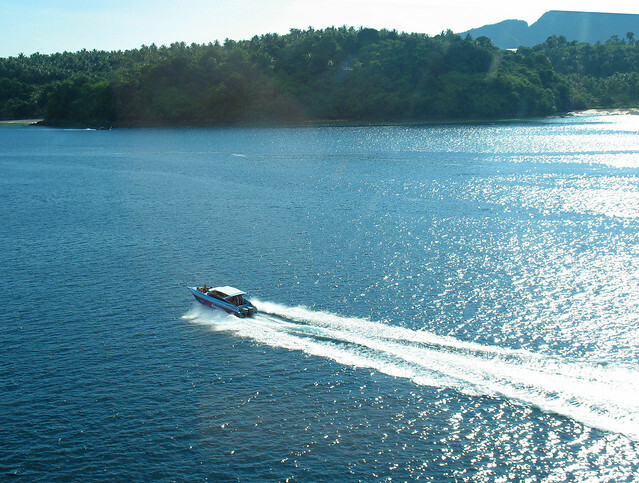 But this is more than just transport, this is an experience too, and if you have limited time, or arrive in Phuket at the wrong time for the ferry, a flight to Phi Phi is a great option. 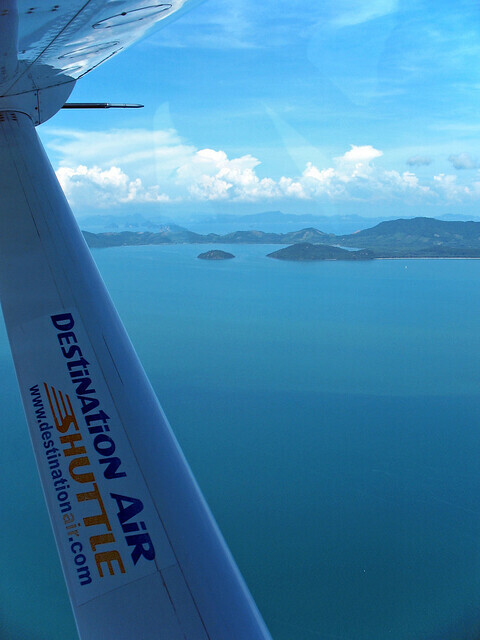 From Phuket Airport to your hotel on Phi Phi in about 25 minutes. And when I say it's not cheap, I guess that's the backpacker in me talking. It's 100 Euro, it saves hours of travel time, and this is one of those "picture is worth 1000 words" moments. This is something I had wanted to do for ages, so thanks to Destination Air for the experience, and thanks to pilot Gerry and the crew. The whole family enjoyed a great day! 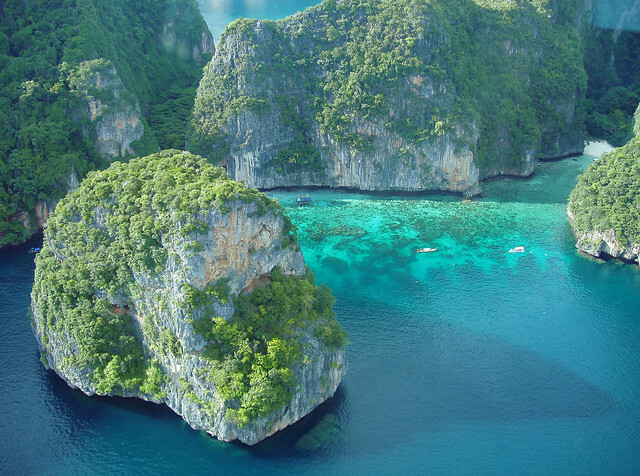 If you want to get to Phi Phi in style, I hope the following photos and mini videos will give an idea of what you can expect on a flight to Phi Phi! After meeting at the Destination Air office at Phuket Airport, we had time to buy the kids a donut before boarding. This was not a 747, not even close! We were shuttled over to our little plane by minibus and waited as customers bags were loaded. The plane seated just 9 people (plus a "copilot" seat). It was not big! 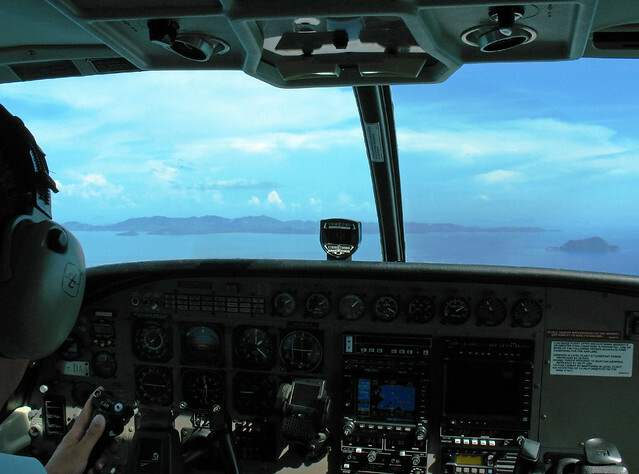 I learned later that you can also charter a plane for a sightseeing or aerial photography tour - you'd need to contact Destination Air for prices. If you had a small group, I reckon you'd have a great experience and a chance for some great photos without spending too much per person. It's only 45km to Phi Phi, the flight is about 20 minutes. The customers on board were staying at the Zeavola Hotel in Phi Phi. 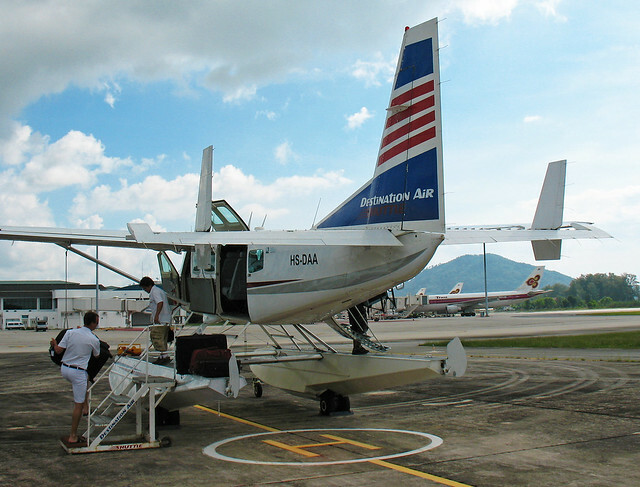 We landed on the water on the east coast and taxied to a floating platform where customers were met by a longtail to take them to the beach. The resorts on Phi Phi's east coast are very nice places, a real getaway from noise, from stress. I can assure you it's very nice to stay in a place where there are no cars! Video above - landing at Phi Phi on the east coast of Phi Phi Don. Landing on the water! The floating platform is moved according to the season. Right now it's still on the east coast but once the NE winds start, this will move to the west coast of Phi Phi Don. We said good bye to the passengers heading to their hotels and I chatted a while with Gerry the pilot. He's a Canadian and used to fly seaplanes in Fiji as well as in the frozen North, eh. He told me that he'd read Jamie's Phuket Blog and the blog had helped him decide to come to Phuket! 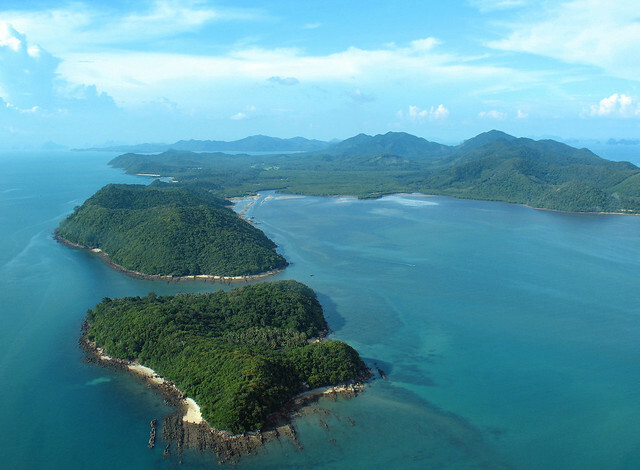 After a while we found out that nobody else was heading back to Phuket - the return flight was just for us! 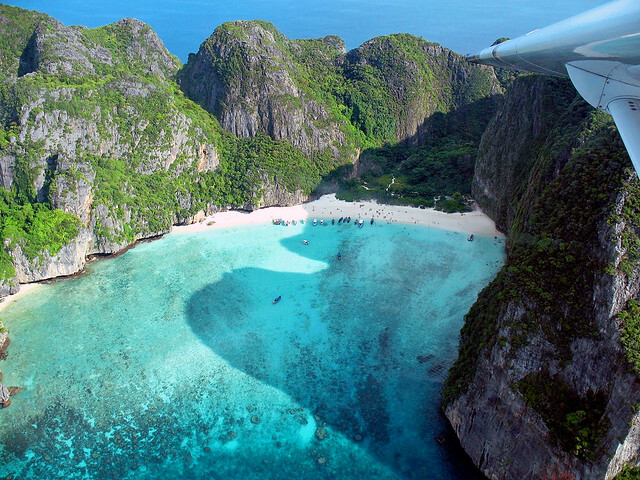 Video - flying over Phi Phi Le ... I should have thought to clean the window! 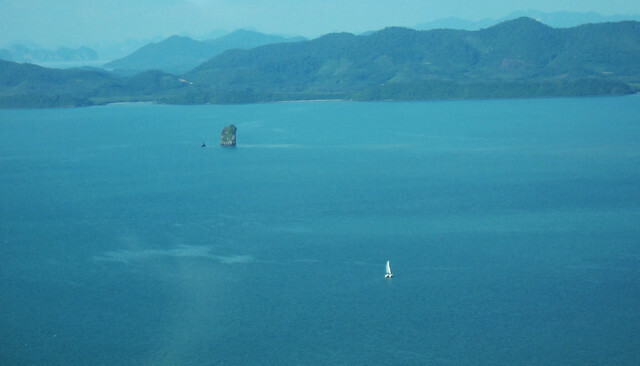 Koh Yao Yai is a huge island in between Phuket and Phi Phi, stretching up into Phang Nga Bay. 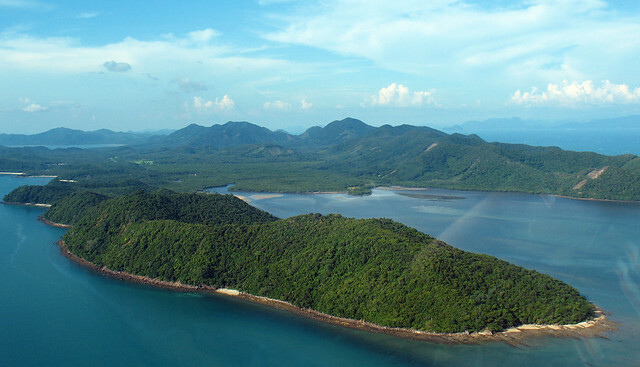 We have been to Koh Yao Noi several times, but Koh Yao Yai remains a target for me.. before the developers move in. 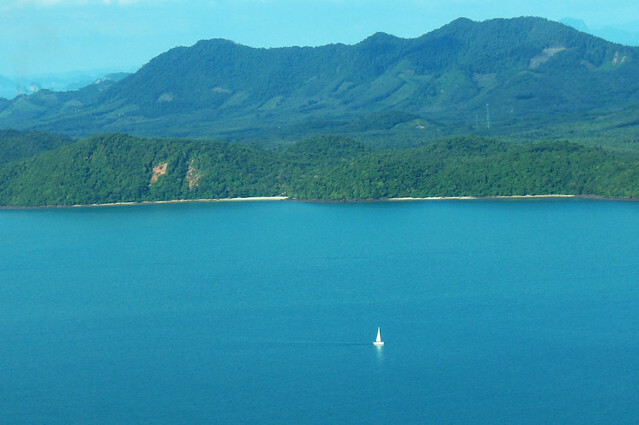 We got plenty of views from the seaplane. Absolute paradise. 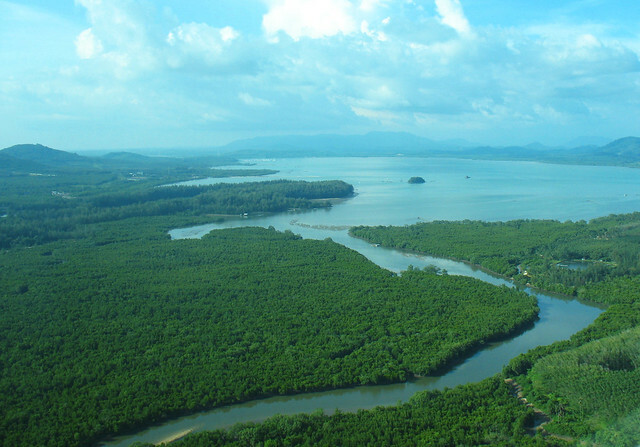 A final couple of photos of islands off Phuket's east coast and of a mangrove river in the NE of Phuket. We also flew over one of our favourite restaurants at Bang Rong, near Bang Pae Waterfall. Sometimes hard to know where to point the camera... All photos on this page by me or my wife. Photos look great, but wish I had a better camera! 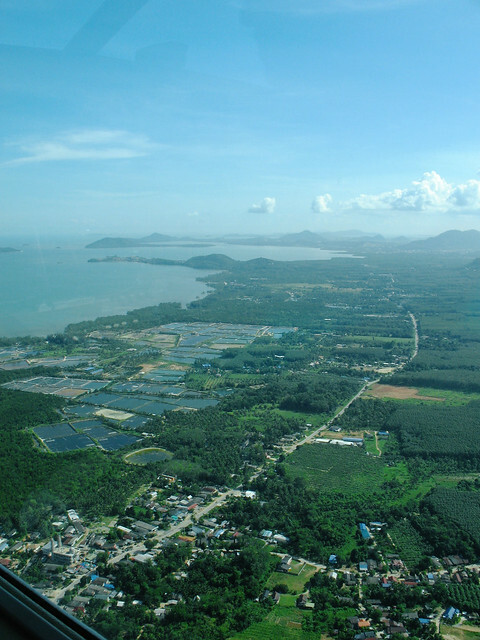 A couple of minutes later we landed back at Phuket Airport. I was momentarily worried by an eagle that decided the runway was a good place to hang out. It took off rather lazily towards us as we landed. One hopes the eagle knew what he was doing! Our great experience was over. I must say.. If you want to do something different, I reckon Destination Air can help! 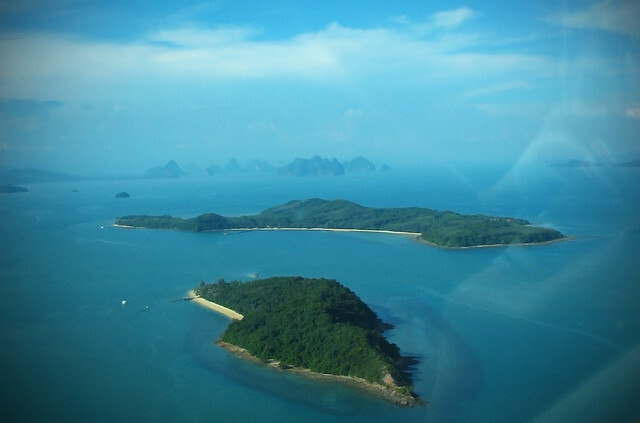 They can do flights to other places too, such as Krabi or Koh Lanta, or charter flights to just about anywhere within range, either for transport or for a tour with the most amazing views. I hope we can do this again someday, it was truly a great day yesterday for the whole family :) Thanks to everyone at the former Destination Air for the experience.